Spend your days rewardingly with your knowledgeable guide to this very beautiful part of the world. This Cape Peninsula tour offers you with the great exposure of the cape Atlantic beaches and a combination of comfortable stay in some of the best accommodations. See some of the best attractions including a boat trip to the UNESCO (Robben Island) and Table Mountain. You will then be driven around the main throughway Victoria Road around Clifton Beach, Camps Bay, Llandudno and Hout Bay as a working harbour or small fishing village. A boat trip to the Duiker Island is available daily ( weather permitting). The Chapman’s peak is the spectacular coastal road that cut into the cliffs to Noordhoek offers a breath-taking view at sunset. 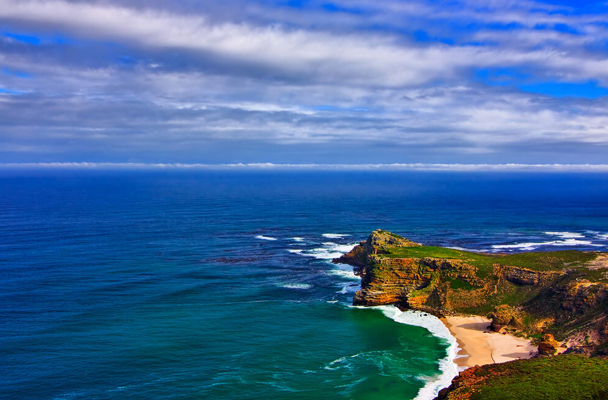 During this tour you will visit one of the Cape most popular attraction Cape of Good Hope Nature Reserve often confused with the most southerly tip of Africa, the Cape Agulhas. You will also visit the Boulders beach, Penguin Colony in Fish-Hoek. The Groot Constantia Wine Estate is a must visit, as it is here where the first wine making started in South Africa. End this exciting tour at Kirstenbosch, one of the Cape Flora Kingdom and largest national botanical garden with its diverse fynbos.